The government is funding research into the potential for artificial intelligence (AI) to improve the legal system, with a warning that, if the technology is mishandled, it could have dire consequences. The Department for Business, Energy and Industrial Strategy (BEIS) will fund three research projects into aspects of AI costing £3m, of which ‘Unlocking the potential of AI for law’ is one. 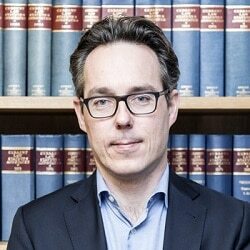 Announcing the research, which starts next month and lasts up to three years, the government warned that the “stakes for AI’s implementation in UK legal services are high [because] as well as governing economic order, the legal system is more fundamentally a structure for social order”. If done badly “it could threaten both economic success and governance more generally”. The project will be headed by professor of law and finance at Oxford University, John Armour. It will “bring academics, lawyers, businesses and programmers together to develop the skills, training and codes of practice” in order that AI can deliver potential benefits “for good”. 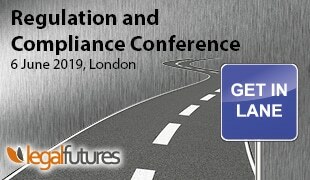 A BEIS briefing said the participants would “gather best practices across the world, outline data challenges, identify where and how AI can legitimately resolve disputes”. It continued that the research will look at the “use of AI in the legal system” and “identify how constraints on the implementation of AI in legal services can be relaxed”. A second project headed by Professor Tim Vorley of Sheffield University, on ‘Innovating next generation services through collaborative design’, will “consider future uncertainties about the roll-out of new AI technologies in accounting and legal services”. Among other things it will analyse “the potential barriers to AI-based business model innovation”. 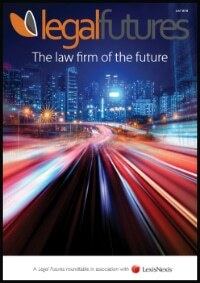 It “will work with mid-size firms across law and accountancy”. A job advert for a two-year research associate post on the Armour project posted earlier this week by Oxford University’s computer science department, said the work entailed “carrying out research towards exploring the frontiers of AI in legal reasoning (in particular: intelligent search in AI for law; legal information extraction; and AI-based legal analytics and reasoning)”. The third piece of research will focus on insurance services, and consider how AI can be applied to processes such as underwriting and claims processing. Lord Chancellor David Gauke said: “Ensuring our world-leading legal services industry remains the primary choice for international businesses as we prepare to leave the European Union is a priority for this government. 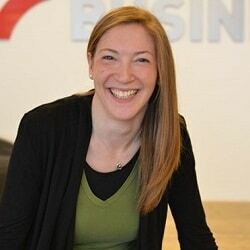 “Widespread use of AI is set to transform the £24bn sector, allowing innovative companies to accurately review contracts at high speed and develop ground-breaking tools that could be used to help predict case outcomes. The announcement builds on the government’s drive for innovation in the public sector and to explore the opportunities of AI. Last month, the Solicitors Regulation Authority won a £700,000 award from the government to support and accelerate the ideas of law firms and others to improve access to justice using AI. In July, Mr Gauke created a panel of industry professionals “to support and accelerate the development and adoption of innovative new legal technologies”. It all forms part of the government’s industrial strategy. Funding so far has covered plans for new technical qualifications (‘T-levels’), greater connectivity for more remote parts of the UK, and the launch of a £9m data ethics and innovation centre to act as an advisory body to government and regulators on ethics of data and its use, including AI.